Dr. Pelto's Blog: I have a bunion but why don't I have a bump on the side. I have a bunion but why don't I have a bump on the side. Many people with bunions don't have a bump on the side. There're basically two types of bunions one on the side and one of the top. The typical bunion that most people are aware of is the one on the side where your big toe turns inward. It can be painful in the joint or on the side of the foot. This type of bunion is treated with wider shoes or injections or even surgery. Another type of bunion is called a dorsal bunion. This is a bunion on the top of the big toe joint. This tends to be caused by a problem of the joint jamming on the top at the joint. The treatments are similar there is a special type of the shoe that I recommend called an Asics Gel Kyano type of shoe or an alternate leasing style. If this doesn't work you can remove the joint spur. That's why even if you have no bump on the side you may still have a bunion on the top of the joint. 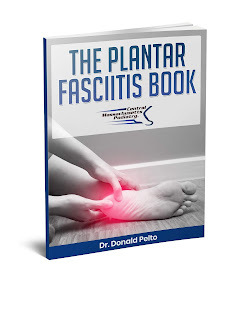 To learn more about bunions request my free e-book there's a big section on bunions in there. Click the Link on the side of the page.